Until last May, a herd of burros lived wild and free in the Mojave Desert, on public land in the Black Mountain Herd Management Area near Kingman, Arizona. Protected under federal law, the burros roamed a vast area of more than a million acres in a herd that's one of the largest and most genetically healthy burro populations left in the U.S. The fate of the Black Mountain 24, as the burros are known, took a turn for the worst when people started feeding them, acclimating them to human presence and drawing them into roadways and the busy town of Bullhead City. 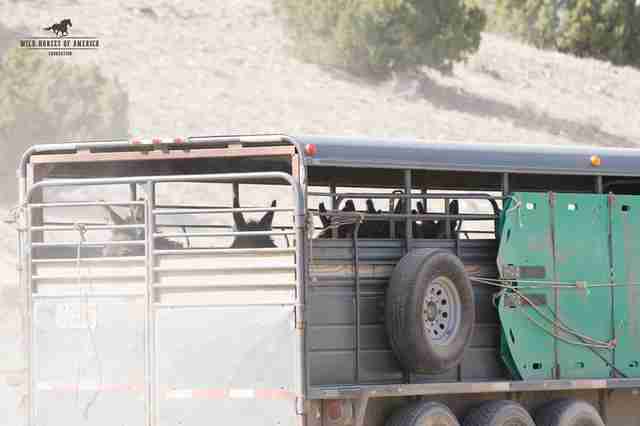 A year ago, the Bureau of Land Management (BLM) captured the burros and removed them from their home on the range after deeming them "nuisance burros." 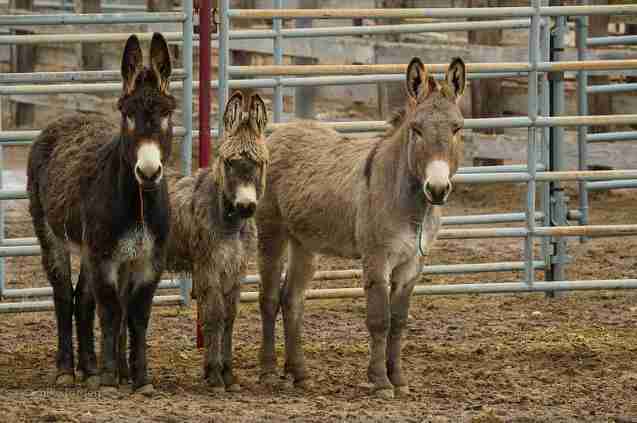 These lovely animals were slated to be shipped to grim and crowded government holding pens in Axtel, Utah - a six-hour drive from Kingman. Burros captured and removed from the wild are routinely separated from their friends and family and warehoused in feedlot conditions, where they can be sold for as little as $25 each, after which they frequently end up in the slaughter pipeline to Canada and Mexico, where horse slaughter is legal. That's when quick action from Simone Netherlands, a wild horse and burro advocate, saved their lives. 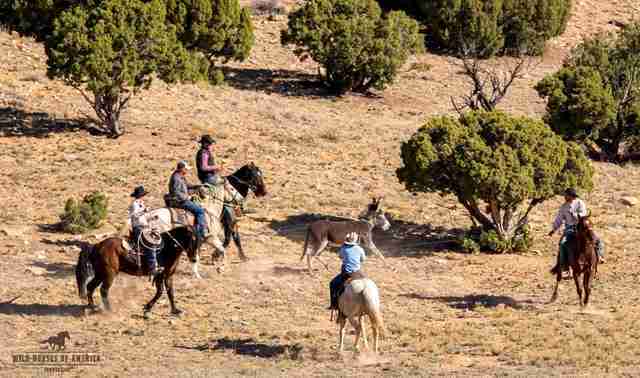 Working with the BLM - instead of at odds with the agency - Netherlands, president of the Salt River Wild Horse Management Group, found adoptive homes for all the burros. Now the lucky burros run free at three sanctuaries - Montgomery Creek Ranch, a 2,000-acre sanctuary in northern California - where the burros encountered green grass for the very first time; Return to Freedom's 2,000-acre satellite sanctuary on California's central coast; and at Netherlands' own 15-acre ranch in Prescott, Arizona. Many of the Jennies (as female burros are known) were pregnant when they came off the range, and have given birth at the sanctuaries. The most recent addition is Havana, who was born at Montgomery Creek Ranch in February. These burros escaped being torn from their families and thrown into holding pens, thanks to Netherlands and BLM Arizona staff willing to work with her for a good outcome for the horses. But the burros who remain on the range may not be so lucky. 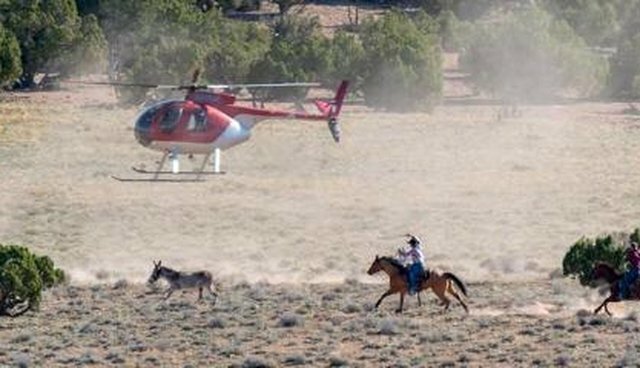 The Arizona State Game and Fish Department and a small but vocal faction of hunting and agricultural interests are pressuring the BLM to remove hundreds more burros via helicopter roundups. 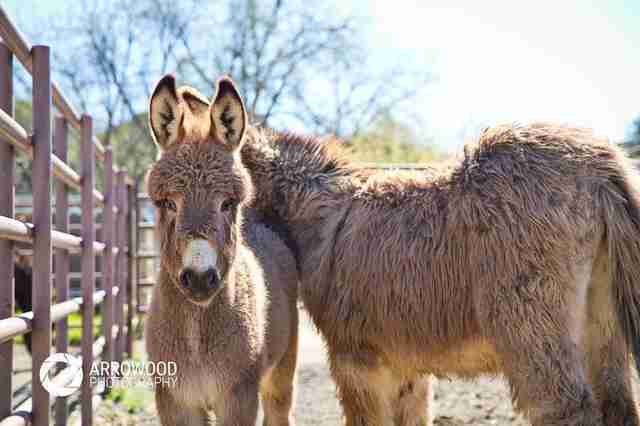 Such roundups are particularly brutal for burros, and helicopters have even hit and brutally injured burros. Unlike wild horses, who generally panic and follow other horses into a trap to stay with their herd, wild burros often scatter as they are chased relentlessly by helicopters. Many burros are roped and dragged into the trap by wranglers on horseback. There are just 11,000 burros left in the wild in the U.S.
Click here to tell Arizona Senators John McCain and Jeff Flake to save Arizona's burros and ensure that they are humanely managed in their homes on the range - where they belong.